Load steps refer to the amount of load that will be placed on a genset at one time. 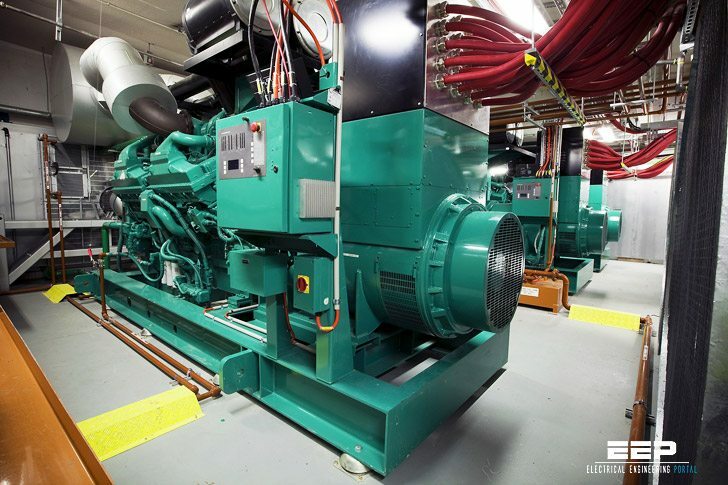 A genset may accept load in one load step, or may spread it out over several load steps. The customer can identify the needs of the environment and then a proper method of starting can be applied. BMEP load step analysis is one system for developing a starting method. Most loads do not draw power in a steady-state fashion; therefore, it is important to know the operating sequence and what else is running when loads are connected. Prioritization is the process by which the customer identifies what electrical loads are needed and in what priority. The highest priority loads would be in the first step; even if all the gensets are not ready for load. The first genset ready to accept the load would take the first priority loads. The next step would go to the next highest prioritized load. This process will repeat until all loads are applied. Smaller load steps equate to smaller transients, which result in a smoother transition. For example, a medical center might prioritize lifesaving equipment as their number one need. That equipment (or special outlets for that equipment) would be the first supplied with electricity from the first available genset. Lights may be identified as the second most important need and handled by the second load step. Just getting my feet wet with all this, suppose a swim club had 3 induction motors, 2 are 15 hp and one is 25 hp, all are 3 phase @ 240 volt, would standard kva calculations work or do multiple induction motors on one genset create new issues ie power factor, transients and or kva needed to start motors when others are online. I am eager to learn therefore greatly appreciate any feedback. At STEMN we’re building hardware engineering development tools to accelerate the pace of science and engineering. We’re applying the open source software model that has empowered us as individuals to the proprietary hardware industry. Our hardware development tools bring revision history, file diffing, cloud rendering (no proprietary desktop software required), and forking to hardware development. These tools do not exist today for hardware engineers, but they are the de facto for software engineers. We provide our tools free to anybody who open sources the work they create using them. Given your vast experience, I’d love to ask you some questions about how you see hardware engineers being able to benefit from our software. Do you have 30 mins to skype? I’m jackson.delahunt.